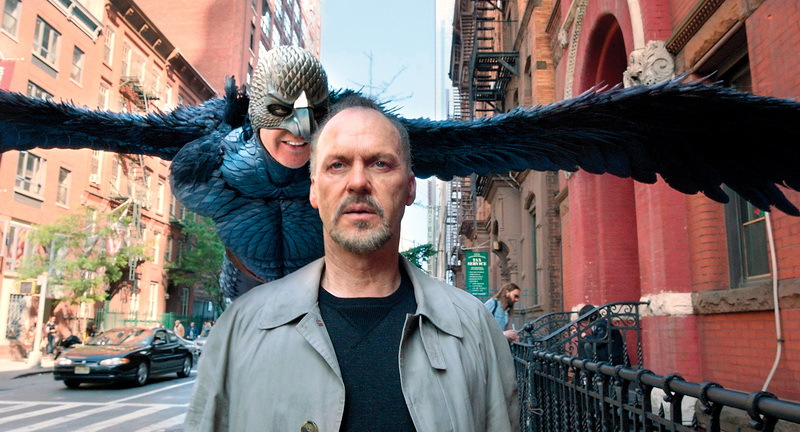 Yes, I realize The Oscars have come and gone – and happened with about the same amount of nonchalance – but that recap will have to wait, so I can tell you guys about Birdman. I’ve heard the haters, I’ve listened to the reasons it shouldn’t have won, but I whole-heartedly disagree with them. I loved Birdman. First off, in the tiny bundle of films I managed to see in the latter half of 2014, this was one of only two that really stood out (alongside The Grand Budapest Hotel). It was funny, artful, witty, smart, glittering with stardom and teeming with untapped chemistry. It gave Michael Keaton lines that didn’t involve quoting TLC songs (see, The Other Guys) and showed us who we may very well be welcoming back into the industry come the next several years. I look forward to it. Maybe it’s director Inarritu’s ability to bring the best out of an actor. His tangled story lines and beautiful execution have been proven before (Amores Perros and Babel), so I knew I would enjoy myself – it just wasn’t clear exactly how much. The story is about a washed up superhero star who’s desperately searching for his worth as a real actor by writing, directing and starring in his own Broadway adaptation. In a sense, he’s trying to prove that he’s an artist, despite his talent existed only within a feathery suit before. His fame rests solely in that character – a fact that haunts him and comforts him at the same time. Birdman takes us on a journey through his consciousness, exploring his struggles with the world’s view, the industry’s view and if all the trouble is really worth it. …Not to mention his stoner daughter (a rabid Emma Stone – in a good way) is quick to point out when he does, in fact, fall short. Naomi Watts, Ed Norton and Zach Galifianakis add to the a-plus role call, sprinkling in personalities to both bring out and stifle the best and worst parts of Keaton’s character. It’s magic. The end is something I’ve heard debated and debated, but (spoiler alert, if you haven’t watched yet), I don’t think he killed himself. I’m not sure what happened there at the end, but what I saw was a daughter finally able to appreciate (and literally laugh) at her dad who was free of anything but his own intuition. It mimicked her own will to “hang out on the edge,” so whether she could see him fictionally flying around outside the hospital window, or she was just witnessing him toeing the ledge for thrills, it was a moment of union, understanding and unconditional love. Maybe that’s the beauty of an Inarritu film – he sets you up where there’s no wrong interpretation. You, the viewer, can take your own experience and make it what you want. He is just the illustrator. Well done. Michael Keaton was perfect for the part. Thoroughly enjoyed this movie.4 out of 4 stars from me.